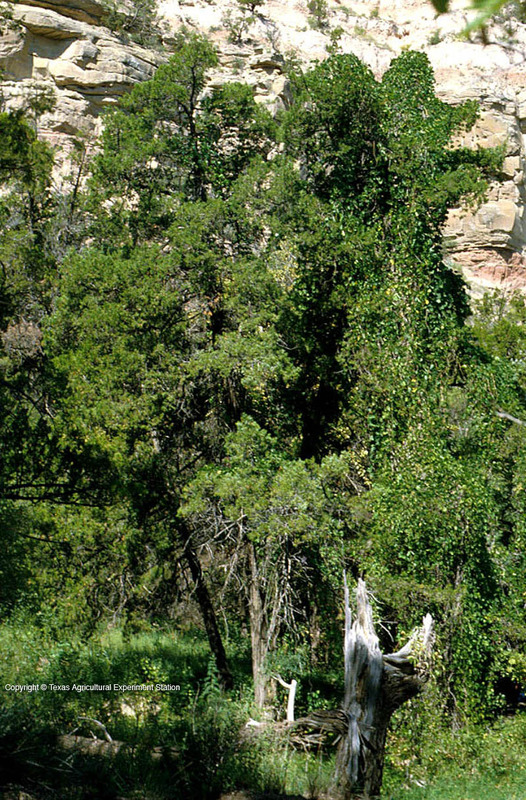 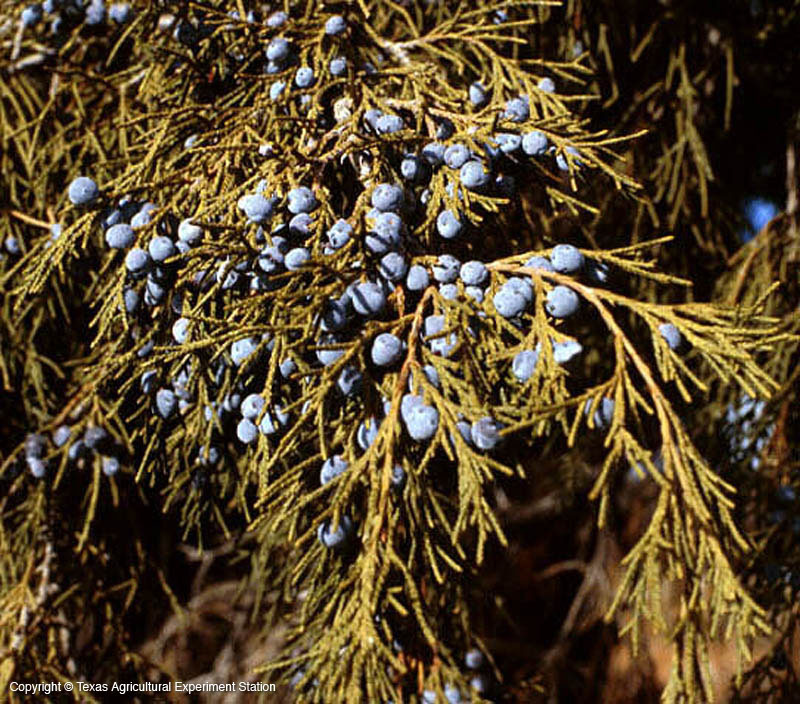 Rocky mountain juniper grows high in the mountains in west Texas but also at lower elevations farther north in the Panhandle. 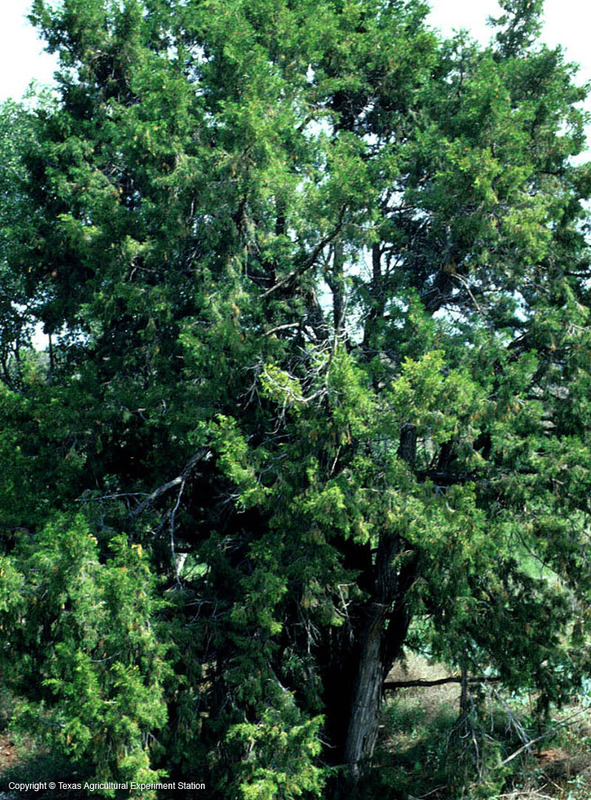 It resembles eastern red cedar, especially with its similar shredding bark. 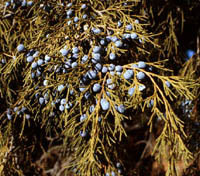 However, it differs by its light bluish-green foliage and larger fruit that takes two years to mature. 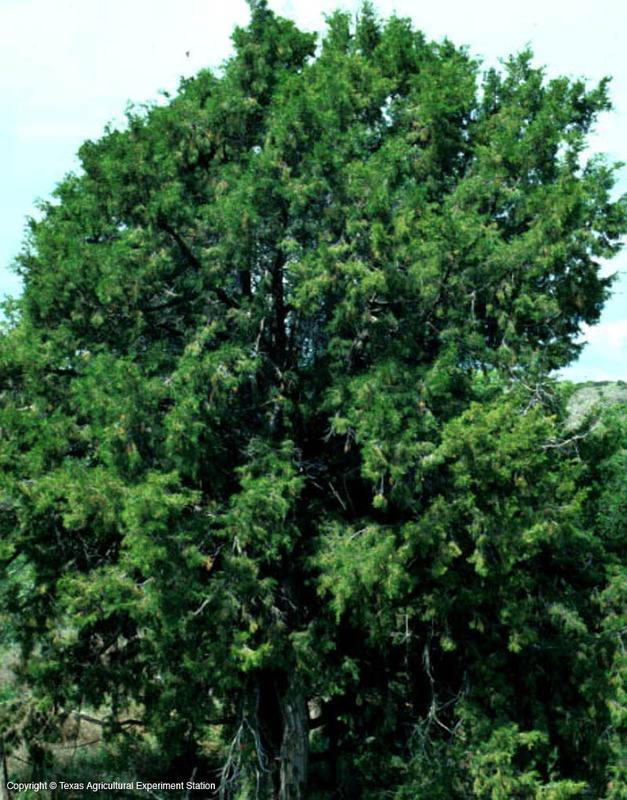 It is tough, durable and drought tolerant as long as it has sun and good drainage.